Beware the Tarmac Terrors -has now been added to DiRT Rally; it’s fast paced, technical and is going to require all your focus. Available at no additional cost to everybody who has purchased the game. 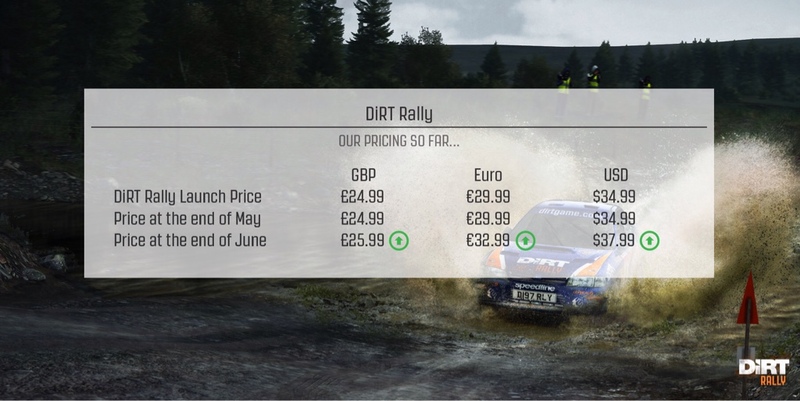 And if you've yet to buy DiRT Rally, this week is also your last chance to grab it at its original price. Once the Tarmac Terrors pack drops, the price of the game will increase with further price increases expected as additional packs become available. If you want for the lowest possible price, now's the time to do it. DiRT Rally rolled out in Early Access in April with a full release expected by the end of the year. this game has me on the edge of buying a wheel and pedals. its sooo much fun! As well, an app WRC 5. Forza Horizon 2 offers a pretty neat off-roading experience with fun cross-country race challenges. Horizon 2 is an Xbox One exclusive title. Also, they added the new expansion map for more rallying. No co-pilot, but it does give you a rally "fix". I really enjoy it. Project Cars 2 (a work in progress) will be offering Rally-style racing. Finally, I'm excited for an upcoming title: Sebastian Loeb Rally Evo. You can find more info about it in the forum thread. It's due to be released in the fall. It will be multi-platform. The technology they used (EGO) was an GPS attached to vehicle and other hardware to collect data to re-create true-to-life tracks. With PC version of Dirt Rally, you can do some heavy modding if that's something you like to do.